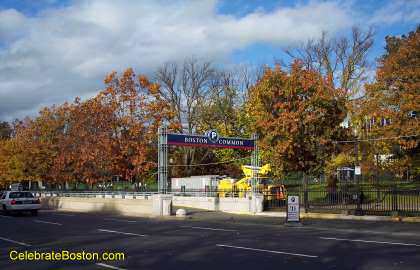 Boston Common Garage is owned by the Massachusetts Convention Center Authority. It is located under the Common, with the Public Garden located on the other side of Charles Street. The garage is near the Frog Pond, Charles Street, Cheers Boston, Hatch Shell, Swan Boats, and the State House. From this central location, the Back Bay and Newbury Street can be reached, as well as Park Square and the Theater District. On the other side of the Common is the start of the Freedom Trail and Park Street Church. As a reminder, Charles Street is one-way in direction from south to north, and Boston Common Garage can only be accessed via Boylston Street (east or west) or Charles Street South. The entrance is on the right side of Charles Street with a large sign above it. Evening Rate M-F: $11, in after 4 pm, out by 8 am. Weekend Rate S-S: $11, in after 6 am, out by 8 am.